There was a never before published book by Dr. Seuss that was found not too long ago - What Pet Should I Get - and it was a best seller even before it hit the shelves (or the virtual shelves at Amazon). This is the second long lost book to come to market this summer, with the other notable offering from Harper Lee, a first draft of To Kill A Mockingbird called Go Set a Watchman. We will never know whether these authors intended that the recently found books be published, Dr. Seuss has been dead for more than 20Ys and while Harper Lee is still alive, she is elderly and not interested in talking about this very much. Publishers decided that it was better late than never, plus certainly they like the idea of an instant top selling book. Banks are finding that their borrowers are scrambling to lock in low fixed rates for their loans before the Fed begins raising short term interest rates. Better late than never and with the Fed widely expected to move before the end of the year, activity is picking up. While the Fed's action is expected to be gradual and policy is expected to be quite accommodative for some time even after rates begin to move, most businesses are not in a position to see an increase in their borrowing costs. Even if they can afford it, with the level of difficulty for businesses of all kinds to grow and make a profit in the long slow economic environment, borrowers most certainly don't want higher borrowing costs. To stay in the game, banks need to offer long term fixed rate loans. But as many of them go to the bargaining table and see what rates their competitors are offering, they are often astounded. There are some important things to keep in mind in these situations. The 10Y loans are getting more expensive, suggesting that this has become the standard structure for most banks. 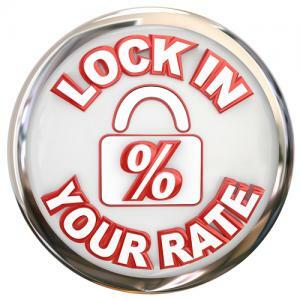 Rate continues to drive the discussion and there is almost always one bank willing to give a really low rate. The rate is only one part of the price equation though and this is where community banks can perhaps find some wiggle room. Some of the biggest banks are showing tight spreads but have big built-in fees. Lenders should remember to not walk away from low spread deals but to check the all-in rate for the true price of a deal. One thing to remember is that larger banks will mostly not be holding these loans on their balance sheets but will be swapping them out for a floating rate asset. This gives the customer a locked in fixed rate (less credit risk) and the bank has positioned itself for higher interest rates (less interest rate risk) through a floating rate structure. Community banks can do this too using PCBB's BLP swap program. The program increases your flexibility in structure and amortization schedules and locks the client in for a much longer period - allowing for more cross-sell opportunity. PCBB's program can also be customized to meet your customer demand with forward starts or different amortization schedules. In the end, hedging offers banks a better return than not hedging, even when calculating returns using the exact same forward curve assumption. It's something every bank should seriously consider when seeking to gain new loan customers and to hang on to the quality credits they already have on the books. Lenders should be proactively going through their books of clients and offering them restructured deals before rates begin to move and before these customers are stolen by the competition. Because the old adage of better late than never won't work if your best loan customers end up going to a competitor, it makes sense to act sooner than later. Then you won't need to ask in the words of Dr. Seuss: How did it get so late so soon, its night before its afternoon? Treasury yields rose 3 to 4bps as oil prices rebounded. Reports on construction spending, domestic vehicle sales and ISM Manufacturing. A Fed economist projects the economy will grow slightly above its 2% long-term trend for the next 4 quarters and then return to trend by the end of next year. Growth will be supported by positive fundamentals including rising asset prices and a stronger labor market. The Fed indicates the apartment sector is robust with a national vacancy rate of 4% to 5%. A Fed study finds 80% of financial institutions say less than 20% of customers are active mobile banking users. Experian reports the top 5 auto lenders in the country based on market share as of Q2 are Ally Financial, Wells Fargo, Capital One Financial, JPMorgan Chase and Toyota Financial Services. After reaching 3.7% growth in Q2, the Fed projects the US economy will grow at a 1.2% rate in Q3, as consumer spending slows down. A Fed survey finds that as of the end of last year, 81% of US banks offered mobile banking services to customers and close to 33% of customers had used those services. The FDIC tells mobile banking users to take the following steps to keep themselves safe: protect phone access with a PIN; only download mobile apps from the bank's website; install anti malware software on the phone; monitor transactions regularly to detect fraud; use your cellular service to connect to your bank account and not an unsecured public Wi-Fi network; and call your bank to get answers to questions you may have before you sign up to use mobile banking services. Gartner research identifies the following as the top new threats to banks: rogue insiders who actually work for crime rings and extortionists using malware and distributed denial of service attacks.